This changed demographic is significant whenever the Government or its departments and agencies take about job and employment figures. 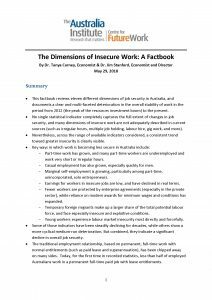 The reliance on full time employment as the core metric should be reviewed and revised but this is likely to change our view of the world through official reports . Peta Miller has worked at Safe Work Australia (SWA) for around 17 years. She leaves there at the end of June. 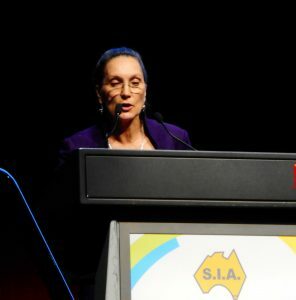 One of her last public appearances for SWA was the National Health and Safety Conference in Melbourne in May 2018 at which she provided an outline of the new work-related psychological injuries guidance that has been signed-off by SWA but not yet released to the public. This guide is said to be a large one but not one that requires a re-education on safety and psychological terms. There is discussion about applying the risk management Hierarchy of Controls to psychosocial hazard identification, the prevention of psychological harm through the design of good work and the identification of psychological hazards without the need to diagnose a medical condition. 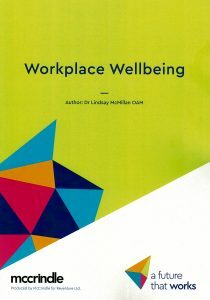 Converge and Reventure launched their latest research report into workplace wellbeing on 23 November 2017. 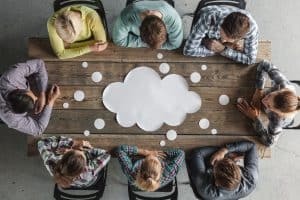 The report, not yet available online, is based round a survey of just over 1000 Australians comprising over 80% full-time or part-time employees, The report has been produced as a guide for businesses and may be of some interest to health and safety people but is of limited application. Most research reports include a clear statement of the aim of the research or a definition of the concept being investigated.